Decorate your room and provide coziness to your surface by putting this carpet on the floor of your room. It has taken about 5-6 months to weave. This is ideal for a high traffic area. Give a fresh touch to your decor and enhance the beauty of your floor by placing this carpet in your room. This carpet is woven in Pure New Zealand wool and Cotton Material. 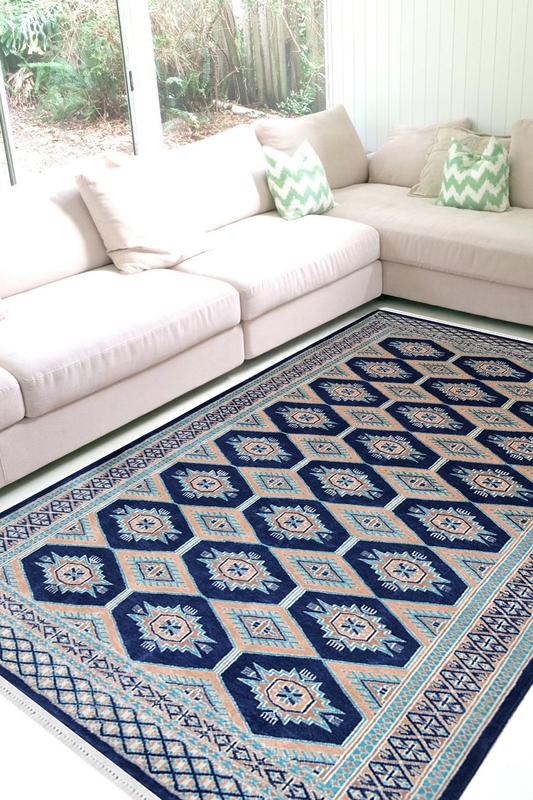 The ground of this carpet is in blue color and contains Bokhara design pattern. Bokhara design looks like the footprints of an elephant. This is a highly durable and 100% hand washable rug.